This emotive chart is an ideal introduction to the poets of World War I. 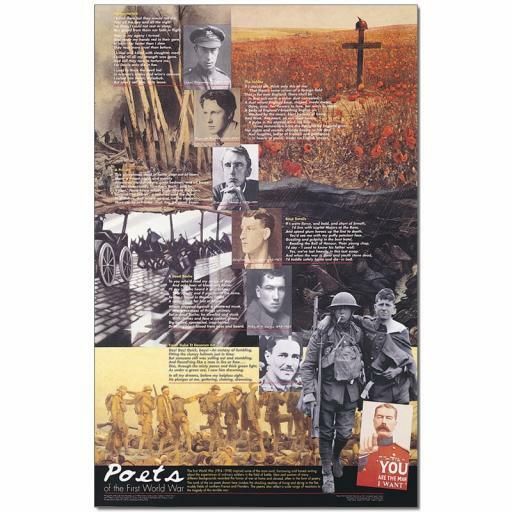 Includes photographs of Siegfried Sassoon, Rupert Brooke, Wilfred Owen, Robert Graves and Edward Thomas, extracts from their work and images of the war. The teachers' guide provides details of each poet's life and explores their contributions to the poetry of the time. Poster is folded for easy storage.